Cold winter days can be difficult not only for people but even for pets. If you have a dog who loves the outdoors, then the winter time can be a difficult time for them. In most cases, they become a bit lazy or worse—restless. In order to maintain their health even if the temperature outside drops, they need to be active. Below are ways on how to keep your dog active and fit despite the cold outside. You can still walk your dogs during the winter season but keep in mind that sidewalks are treated with chemicals or salt to prevent ice crystals from forming. If you are unsure if your sidewalk has been treated, you need to take precaution. Get your dog those cute booties to protect their paws from any chemicals sprayed on the sidewalk. Aside from protecting your dog’s paws, it also keeps them warm. Aside from using booties, make sure that you rinse off their paws once you come home to prevent irritation as well as to prevent them from ingesting any residue that might adhere to their foot. You can also get a doggy coat to provide added warmth during the walk. Now if you don’t feel like walking outside, you can visit a dog-friendly store. Bring a leash and take your dog for a walk in the shopping mall. There are now many shopping malls that are pet-friendly. And while you are at it, visit a pet supply store and get your dog a treat. You don’t need to take your dog outdoors to become active. There are so many ways that they can be active in the home and one of the methods is to make mealtime fun. 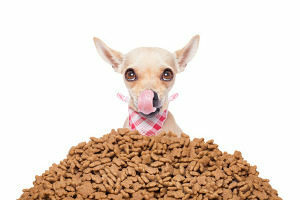 Studies noted that our canine friends enjoy eating their food when they have to work for it. So instead of putting food in their doggie bowls, put them on feeding toys instead. Doing this slows down how fast they eat, thus preventing them from suffering from gastrointestinal problems. You can make treat time fun to keep your dog active during the winter. Instead of handing them the treat from your own hands, you can use a treat dispenser or play hide and seek so that the dog can actively participate in their treat time. Make this a routine so that your dog understands and will be more than willing to look for the treats around the house. Dogs love to play tug. Aside from being able to keep your dog active, it is also a great way to bond with him or her. It is a great tool to use especially if your dog is in a place with a lot of distractions. In fact, this type of game has been used to teach dogs that great things happen during reinforcements and not when it is running around. To do this game, you can use an old pair of jeans and let your dug tug on it as hard as he can. 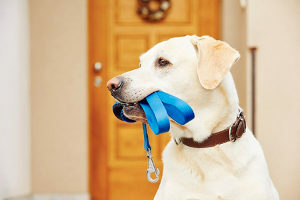 The game of fetching is a classic game, but it always requires your dog to use up energy; thus, it is a great activity to keep your dog active. You don’t need to do this activity in a big park. In fact, you can do this in your living room. For instance, you can throw a ball down the stairs so that your dog can chase it then ask to bring the ball back to you. You can do this a dozen times and your dog will definitely be burning off a lot of calories. It is no easy task for your dog to learn new tricks. In fact, teaching tricks to your dog is a great way to tire him or her out. Spend at least 5 minutes training your dog and do this with every two hours interval. This will definitely tire your dog out in between the training sessions. There are so many tricks that you can teach your dog so being cooped inside the house will not be boring for your pet.